When a precocious behavior catches your eye, don't overreact but do pay attention. Every child in a stable situation, in which their basic needs are met, will exhibit flashes of brilliance here and there. Kids are full of surprises, and the unexpected is part of the fun. However, a pattern of outlier behaviors may mean you are raising a kid who will need engaging intellectual challenges. As parents, you'll have to seek out appropriate educational opportunities and social situations. He begins to speak in complete sentences before he's even a year old. Pretty soon those sentences are grammatically correct, and he develops an advanced vocabulary along with his walking skills. You can skip the baby sign language because communication will not be a problem. As your chatty munchkin ventures out into the world, he will comfortably converse with grown-ups as a school-age or middle-school student, and may be unafraid to challenge adult opinion and argue convincingly for an alternate view. 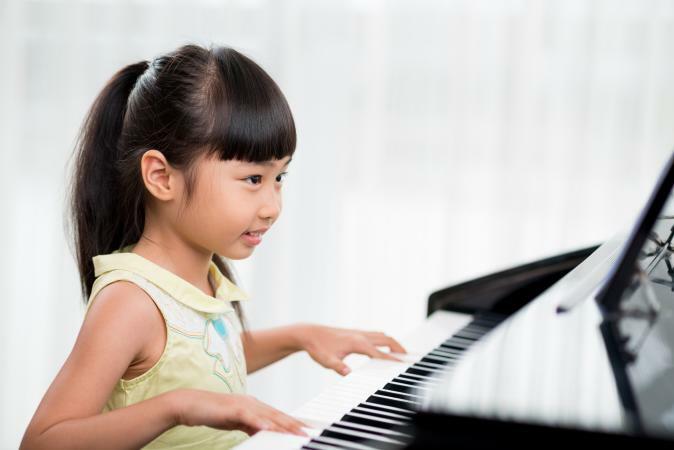 What Is a Child Prodigy? Your baby recognizes people, things, or places, sometimes with as little as a single encounter. This might be a seldom-seen relative or a second visit to the children's zoo. A toddler or young child may give directions to return home after a visit to a place miles, or hundreds of miles away. A little person may remember an event that happened when she was one or two, with precise details. A student will "study" for a quiz with a once-over of the material, and recall it thoroughly and accurately. Some youngsters do read easily by age two, or even younger. Even though reading requires mastery of multiple complex skills the child has never been taught, decoding and understanding just seem to happen. Early reading typically leads to sophisticated book choices many years beyond "grade level." This habit will continue into the school years with increasingly challenging reading the norm, in both fiction and nonfiction, and sharp critical reading skills. Baby Mozart may be a wishful parent program, but your baby Mozart picks out tunes on the piano when he's sitting in your lap, wearing a diaper, drinking a bottle. He recognizes different composers by ear alone and can name a sonata after hearing a few bars, about the time he starts composing sonatas himself. He has excellent musicality and perfect or near-perfect pitch. An early introduction to an instrument may develop your child into the middle-schooler who debuts with an orchestra, or the founder of the garage band who incorporates sophisticated phrasing and a variety of musical traditions into original compositions and polished performance. Your kid is insatiably curious. It's never a single question because the answer opens up a new line of thinking and more questions. How will she know if she never asks? Get used to it, as this is a lifelong trait. You should also expect to hear from her teachers; she's going to wear them out, too. The good news is, a school child will take to research with alacrity and, by middle and high school, will be capable of tackling complex subjects with a deep background of acquired knowledge and broad context. Questioners become discoverers and inventors. The kid who follows every answer with a "why" might change the world. She colors within the lines at 20 months, and writes her name with a normal pencil at two. At three, she throws and catches a ball with her big brother without dropping it or throwing it wild. He cuts her no slack, and she outlasts him. Precocious hand-eye coordination optimizes language learning and social communication. It also reveals itself in fields such as dance, gymnastics, intramural sports and art. One clue to the genius of a "late bloomer" is an extraordinary ability in activities that require quick and accurate perception and reaction like the junior tennis champion or the caricaturist for the school paper. 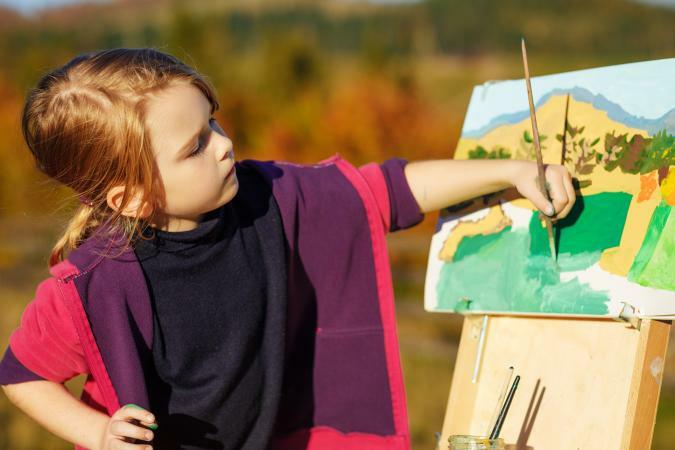 Obsession with a topic or activity is a common trait among highly gifted children. The three-year-old can recite the names and descriptions of every single dinosaur ever identified and would be perfectly happy set loose with a group of paleontologists in the Gobi Desert. The five-year-old has an encyclopedic knowledge of the Civil War and is nonchalant about explaining physics to you. This extreme level of absorption manifests as phenomenal expertise in areas of interest and a tendency to become so absorbed in pursuing that interest, the child loses all track of time. Your brainiac can break down the relationship of factions in military conflicts in distant regions of the world. He's eager to name all the space probes of the last few years or find Kiribati on a globe and explain why it is disappearing under the onslaught of global warming and rising seas. By the time he is in grammar school, you will be asking him for a breakdown of the day's news or insights into his favorite topics. The baby watches the puppy chase its tail and laughs hysterically. The toddler understands the silly wordplay in a middle-grade book. The child has a repertoire of real jokes, not knock-knock jokes, and cracks herself up delivering them. Exceptionally brilliant children find the humor a beat ahead of everybody else. Look for early experiments with irony and satire as a school-age kid explores various expressions of the fine points of funny and farce. Bossy little thing is directing the other babies in the playgroup, directing his older siblings in the best way to build a tree fort, directing you to tuck his blanket in a particular way. Ignore this small autocrat, and you will be in for nonstop fussing or a stubborn argument. Leadership is an admirable trait but comes with challenges. The challenges get tougher as the individual gets older. A brilliant student might complain she has to do all her group projects as the other participants fail to deliver. The kid who attempts to run every schoolyard competition may end up isolated, even though he has the "best" ideas. For these children, the social skills that enhance leadership will be essential coping tools. It is just Monopoly, but little did you know, all the payouts should be increased by a factor of two, and the utilities are subject to inflation. Forget chess, unless you are a champion player. Even then, you'll have trouble recalling the complicated kid-invented rules. In the classroom, kids will hunt for more challenging games online that require some parental vetting. Complicated multilevel board games will work to engage advanced strategic thinkers and puzzle-solvers. Sometimes the wiring that results in profound giftedness has other effects that can cause a misdiagnosis of intellectual ability. At the very least, it requires extra accommodation for the disability in addition to the academic precocity. Extremely high IQs have been associated with higher levels of mood disorders, extreme sensitivity to touch, nearsightedness, severe allergies, high-functioning autism and Asperger's syndrome. Your brilliant child may come equipped with a level of emotional intensity that is difficult to manage or impossible to live with when he is not intellectually challenged. A kid who is precocious in one area may lag behind in another. Some students are placed in special ed classrooms or denied access to gifted programs because their disabilities mask their genius. Such children are known as "twice-exceptional" and need extra advocacy from you to reach their full potential. The extreme intensities that often typify the behavior of a genius are part of a complex package. A smart kid may possess a genius-level intellect that hides behind impossible-to-miss behavioral aberrations. If your child exhibits the following, add giftedness to the testing you do to identify how to help him manage his world. Identifying signs of genius is not about the bragging rights. Genius-level intelligence is amazing, but it's a mixed blessing. Your little wizard may be intellectually at home in a high school classroom but struggle to fit in as his emotional and physical seven-year-old self. That astonishingly bright and lively infant may need near-constant stimulation when awake -- and sleep far less than you'd like her to. The Davidson Institute for Talent Development, a nonprofit foundation devoted to programs for highly gifted children, points out that educational environments are not set up to cater to the needs of the profoundly gifted. Profoundly gifted children change the family dynamic as parents and siblings adjust to accommodate a voracious intelligence and outsize abilities. You don't have to test your child, and you shouldn't rely on a test score to determine intelligence or potential. Estimates of genius-level IQs vary, from 130 accepted as gifted, with scores above 140 considered in the genius range. Typically, an IQ from 160 and above gets the genius label, although tests and scoring vary and they don't tell the whole story. 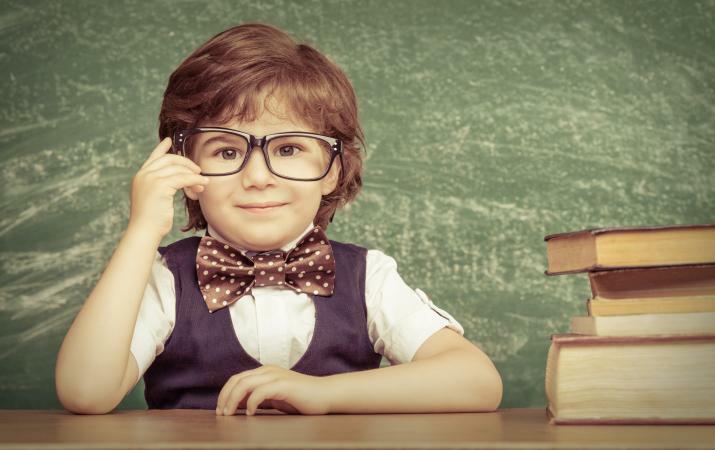 The Woodcock-Johnson and Stanford-Binet IQ tests are given to children as young as two years old, and the Wechsler Preschool and Primary Scale of Intelligence-R is administered starting at age four, but there's no rush. Genius is hard to quantify and can manifest as academic, artistic, athletic or other phenomenal abilities in a child with asynchronous skills. 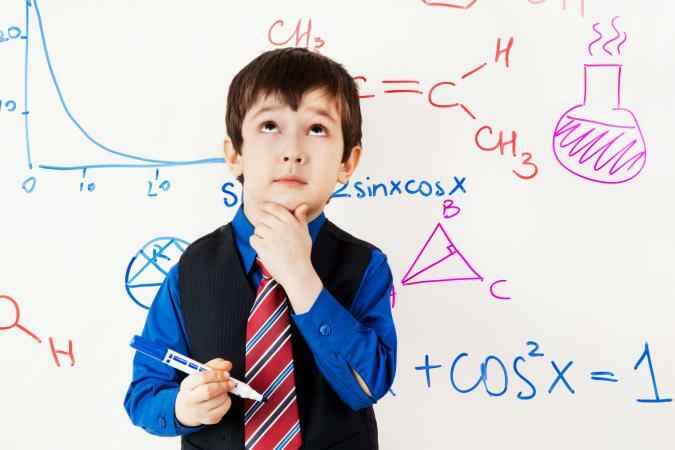 An evaluation by a specialist suggested by your pediatrician may help you to develop a strategy for dealing with the complex demands of giftedness and genius. Your genius child is a gift, demanding as raising her is likely to be. When a child exhibits the signs of extraordinary intelligence, an adventurous shared journey begins. The highs will be remarkable achievements. The not-so-highs may include managing the reactions and expectations of others. With that said, brilliant or not, the main game with your brighter-than-average baby is a steady diet of hugs, acceptance, and delightful discoveries as you help her to navigate her world.